SOME of the last children to be treated at Frenchay Hospital received some Easter cheer thanks to customers of Sainsbury's in Emersons Green. 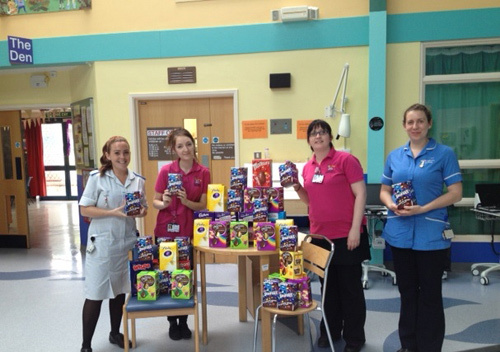 Shoppers and the store chain donated Easter eggs which were given to inpatients in the Barbara Russell Children's Unit, children attending A&E and wards for clinics and dressing changes over the holiday weekend. The children's A&E at Frenchay is closing on May 7 and moving to the children's hospital, as is the Barbara Russell unit.